8,000 sq ft drive in rack installation. 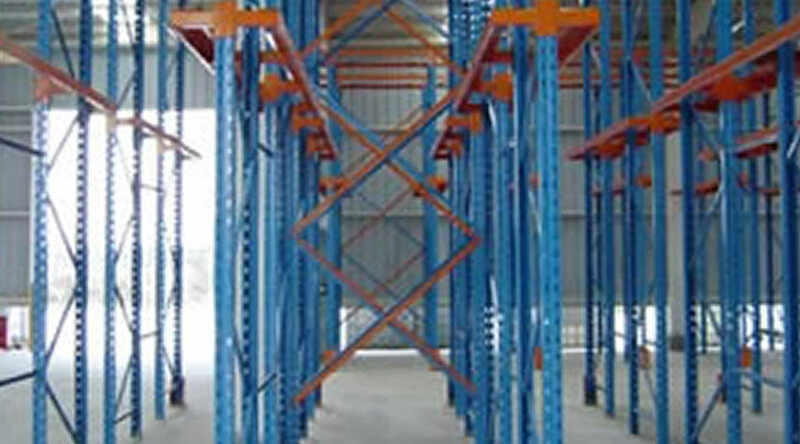 This rack features a 5-deep 4-high single entry system with structural steel frame, heavy duty structural arms and bolted angle rails. 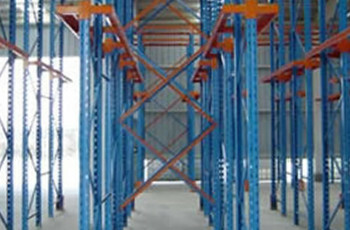 The use of drive-in versus selective pallet rack systems provides a maximum increase in efficient use of space.